Includes 4 adjustable wire shelves and 2 wire baskets to create plenty of space to organize frozen food. Includes a spill-proof glass shelf, an adjustable Gallon Door Bins, a snack drawer and more to provide ample space for storing items. For new water line connections, special installation is required which is not included with delivery. Call 1-888-BEST BUY (1-888-237-8289) to find out more and to purchase installation. Find essential parts for installation in the accessories section on this page. 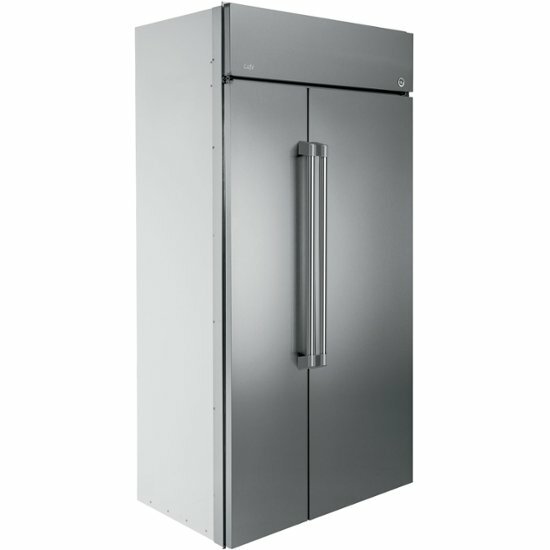 Click the button below to add the GE - Café Series 29.6 Cu. 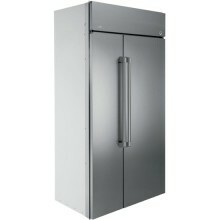 Ft. Side-by-Side Built-In Refrigerator - Stainless steel to your wish list.